Happy New Years to all of our Yoga Jam peeps, friends and family. You rocked in 2017 and opened our hearts to new possibilities. 2018 will be an amazing year filled with more connections, love and we plan to light up the festival with illumination of our world and our hearts. Bring your light with you in 2018. Ticket increases on January 7th, so let your friends & family know! 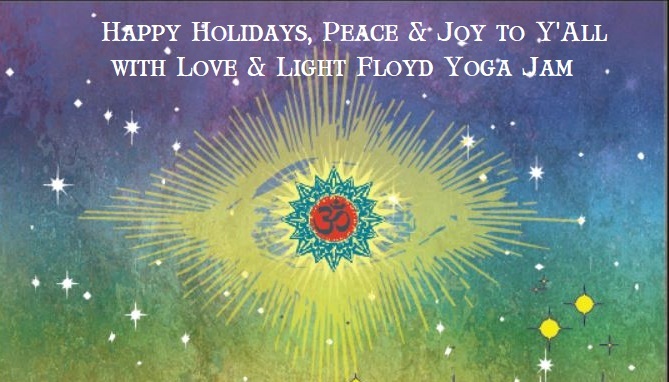 Subscribe to our newsletter and be the first to hear additions to the line-up and our newest ideas for you at Floyd Yoga Jam.